Welcome to Gold Rock Auto Sales & Service! - Let Us Get You Going Again! Leon and Raven under the hood! 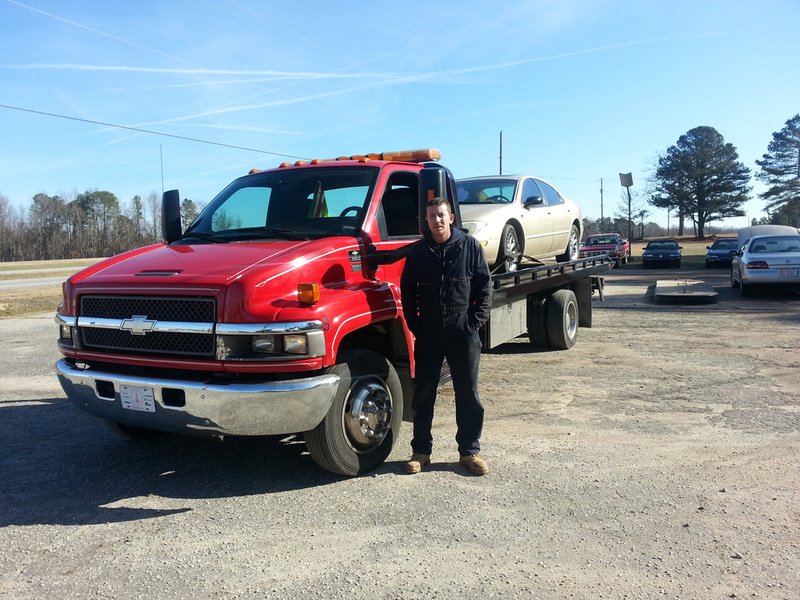 Located just off I-95 North in Battleboro, N.C., Gold Rock Auto Sales & Service has been helping people get going again in the Eastern N.C. area for over 10 years with quality auto and truck repair services at fair and reasonable prices! Whether you're looking a good second-hand car or truck, a set of new or used tires, or need repair work on your engine, we can get you going again with professional, prompt and courteous service! We can handle most auto and truck repairs, and because we're locally owned and operated with low overhead, our repair rates are MUCH lower than our competitors down the road! Call us for a quote FIRST! We also offer great prices on new and used tires, including Goodyear, Michelin, Bridgestone, Dunlop, Kelly & many more popular brands! Call us for a quote! Whatever your particular auto or truck need, Call Raven Owens, Owner, or Leon Battle today and let them help you get going again too! Good, used cars and trucks for sale! Check out what's available on the FOR SALE page!! Tires, tires, and MORE tires! Need tires? Whether you just need a good spare, or a whole set, we've got a wide selection of good, used tires to fit most cars, trucks and SUV's, including Goodyear, Michelin, Bridgestone, Dunlop, Toyo, and many more! We can also order you a set of NEW tires, for LESS, than our franchised competitors down the road! Don't believe us? Click the tires to learn more! From brake work to OBD emissions and engine lights, Goldrock Auto Sales and Service can handle repairs on most foreign and domestic cars, trucks and SUV's. All our repair work and parts are guaranteed for 12 months or 12,000 miles. We'll have you back on the road and going in no time! Click the picture to see a full list services and repairs we offer! Need a hard-to-find part for your car, truck or SUV? Let us find it for you! We have access to hundreds of sources for good used parts for all types of vehicles, foreign and domestic, and at lower-than-retail prices! Call us before visiting your local parts store! Use our convenient request form to request a part! Oops! Car stalled? Flat tire? Out of gas? Need a tow? Call us! We offer professional and quality round-the-clock light duty wrecker and towing service, and emergency roadside assistance through our on-call dispatch service. After hours appointments available by request! Call us for availability!